Finally, I am building a technical team. So I won't be the only one handling all the technical work. I have been trying unsuccessfully for about 18 months now and had almost given up till recently. 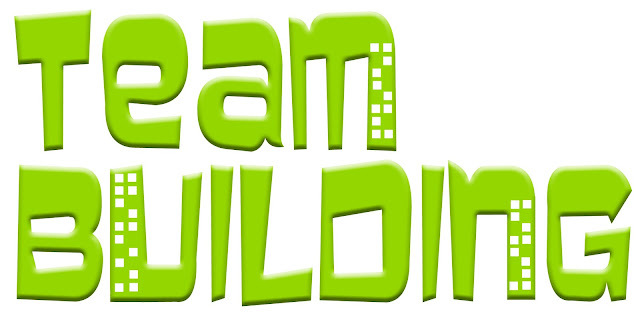 I have managed to build a marketing team and I have seen the great positive impact having a team provides. The first method I tried was to hire fresh graduates and pay them N50,000/month. You would remember the post for request for application I put up that period. I think this was in 2015. It didn't work out. Not that I didn't get the right applicants but the logistic bit of it. The cost of running the team was more than I was willing to bear so I chickened out. Then I tried hiring remote freelancers, all foreign, via upwork. This one worked better and I was convinced that in the end it would be the fitting approach. They already have the skill, I just offload some work to them and pay them per work done. It made a lot of sense. No having to cover the usual overheads that come with running an onsite team or paying people fixed salaries whether projects came or not. But then I had one problem, which sincerely I knew was easily fixable, I wasn't billing clients enough to cover the cost of paying the freelancers and having something left for the business. So I abandoned doing projects altogether. I had ongoing projects for Vodacom, Huawei and a couple other clients that I just squeezed my way out of (more like abandoned). I needed to fix my project billing methodology. The answer looked easy, it was the implementation/execution that was problematic for me. So I left it all for a while, then slowly I considered leaving it entirely and building off-the-shelf products I can mass sell with one single price like we currently do our training services. Recently, every experienced business person I have been talking to advised that I shouldn't shut that side of our business and I should rather work on fixing the primary problem -- lack of a team. I should even let someone else in the team handle the project pricing since that is my Achilles' heel. Now I am considering a hybrid model, taking the best of the two models I have tried. We will be a remote team, since it worked well for me better than the onsite team, and rather than being less involved like the freelancers I treat them more like staff with more involvement and equal say in the direction and negotiation of the project deals. I am using Trello and Slack for our primary project management and collaboration activities. For communication, I am thinking Skype since that is what my foreign clients use in communicating with me on their own projects. I hope and pray it works out this time. And I will keep you all posted on the progress we make. So what progress have you made? I do know a resourceful young man who could add some value to your team! Already working with the first team. It's all more like a trial for everyone, especially me. Had to pick people I could trust and who are willing to tolerate me. Once we fine tune the model, we can scale the team.